Seventeen-year-old Lexi Matthews keeps two secrets from her elite boarding school classmates - she's the daughter of a famous and controversial geneticist, and she can influence people's thoughts. But after new student Jack DeWeese heals her broken arm with an anything-but-simple touch, he forces Lexi to face a new reality - her abilities reach much further than speaking to the minds of others. Aidan Montgomery hadn't been prepared for Amelia Bradbury to walk in and then out of his life. He also hadn't expected to find the powerful magic hidden deep within him for the last 19 years, but he's embracing it - finding more control and more answers every day. Now, with the help of Amelia's best friend, Bethany, Aidan is on a quest to understand his destiny and find Amelia. Amelia decided to stand by her duty, which meant walking away from her first chance at love. Trapped in Cresthaven at the Queen's mercy, she spends her days with Micah - an ally she still holds at arm's length - struggling to manage her heartbreak while keeping her mind focused on the task at hand. 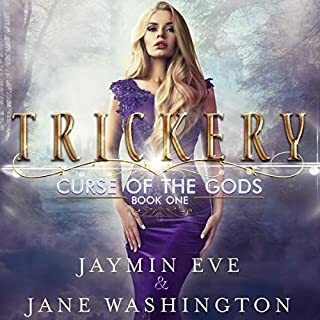 As she continues to unlock the secrets of the Keeper power, Queen Julia's true motives reveal themselves, forcing Amelia to decide, yet again, how much she's willing to sacrifice. This book was ok I liked the two points of views but there were a lot of things I just spaced out on. A lot of fluff and little actual story development. You can skip to the end of the book and get all you need from the story. I love this series it is amazing the characters and the story line must read. the first book was better I found Amelia and Aiden whined a lot in this book it was interesting but I had to push myself to finish it Ira still a good book other wise and we'll thought out minus the whining I still think it was a unique book. I am rabidly devouring this book again. It's even better in audio since I get the full effect of voices and descriptions. The narrator is great with character distinction and voice acting. I would not be surprised if this series remains one of my favorites of all time. Magical and suspenseful adventures here we come! Young love fighting for what's right. 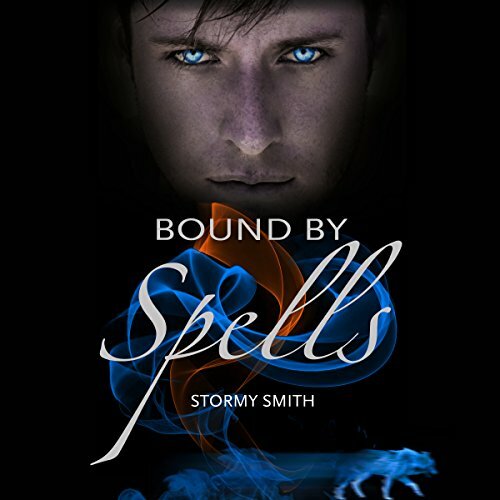 If you could sum up Bound by Spells in three words, what would they be? As I've enjoyed all the characters there are two (sorry not just one) that I loved in this story. Bethany, oh Bethany. I love her sarcasm and direct path of discussions. She brings a smile to my lips, even when she's hurting from her boyfriend leaving. Bethany is the only human in the battle here. And she's more determined than any to do something about her friend being held by the mad Queen. We meet new characters! The one that sticks out in my mind is Dylan. He's so adorable! I love his personality and his attraction to Bethany. He's extremely loyal to Aidan, Bethany, and a few others. He tries his hardest to be proper calling people Mr. and Ms. (Mr. Aidan, Ms. Bethany). He's young, you can tell but he's just a cutie-pie. 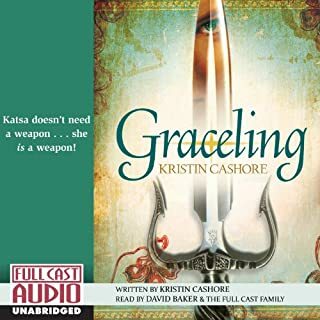 I've listened to many of Kristin's latest works as I love her emotion and voice acting. 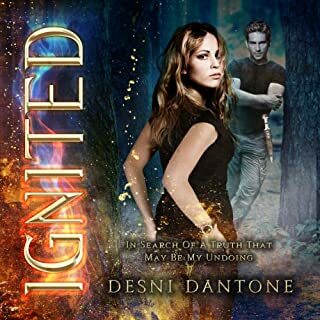 This story is top notch with all her paranormal works (my genre of choice) I've listened to. Kristin once again draws me into this world with her talented voice. With different voices and tones for each character I'm able to drop right into the world once again and not get lost. The best part, the characters from the first book return and all sound EXACTLY the same as book one! Kristin's voice acting is so impressive, I don't feel I have to see facial expressions to know how the characters are feeling. Her voice tells it all. And I feel she has connected with this story and characters on a level that feels this story is hers and lives as them. So much emotion! Well done! To not spoil the book I'll be vague. Later in the book Amelia learns of a secret place. What she learns and sees here is rough. It opens the door to new troubles for the Mages and makes us well aware of it. Amelia also has a moment where she shuts out a voice that's in her head. This shows how deeply Amelia is worried about what the Queen and the Hunters are able to do to her, or the extent they would go to. We are drawn further into the world of Mages here. We learn more of the Mage magics along with the Hunters and their abilities. There is more here that we didn't know, or Amelia as well. The things plaguing the mages are deeper than expected. There is also a twist with the Hunters. There was a brief mention about the Hunters when they were bound to Queen Julia and that some may not agree to her ways, but there is a hint of it coming to life here. I'm curious what will come with the Hunters in the future story. This story is from the POV's of Aidan and Amelia. Both are in different places in this book. Both are learning different things. Though much of what we learn here solidifies the ideas we had from book one and gives more details of those impressions, along with uncovering additional troubles for Mages. Aidan is learning first hand of the Animages and his own abilities. Amelia is seeing Hunters and learning pieces of her mother, an Elder. Amelia still struggles with the power in her and hopes to learn something that will help calm and control the Keeper in her, that seems to be a dangerous entity. Aidan's thoughts in the beginning are a reminder to us of the important people and events of what had happened with them, friends, and family. Amelia does touch on some history, but I'm glad she doesn't to much as it would be repetitious of what Aidan remembers or learns. We get the insight into Aidan and his thoughts. We learn of when Aidan first started changing and what brought it about. But! There is a bind on him that needs further breaking. Oh the history that belongs to Aidan. I'm so glad he got to learn the things he does about his family and what happened to them. Aidan is more than he ever imagined, and is trying to understand it all as it hits him as fast in this book as it did in the last for Amelia. I'm loving this world and the characters. I need to know how it all works out for everyone, Amelia, Aidan, the Mages, the Hunters, and even the crazed Queen Julia. This book does end on a bit of a moment that makes me say, 'No, it can't be the end of the pages.' But I'm also happy where Amelia ends up, it's just... well, it leaves me anticipating the next book like the first book did. I'll be counting down, waiting for it's release! 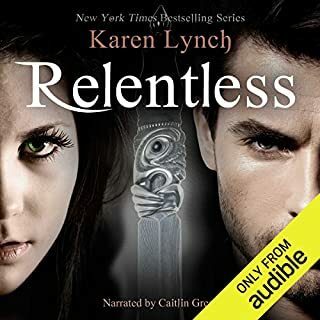 Audiobook was a joy to listen to! 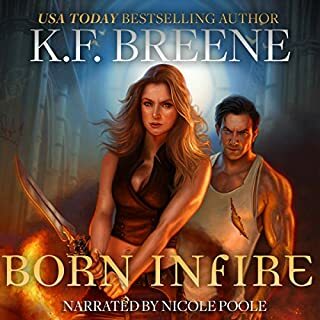 The story was a fantastic continuation to the first book, which I also listened to on audible. The swoony romance, the crazy dire situations and all the action made this a perfect paranormal romance. Clean, new adult, paranormal romance that I would recommend to everyone!! !